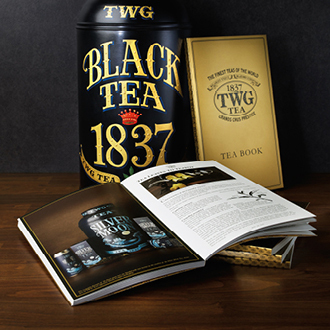 TWG Tea Book is an expression of passion to share knowledge about the world of tea, tea culture and tea appreciation. Tea pairing will never be easier as the book also presents insightful narratives on each of TWG Tea’s exclusive creations. A veritable adventure across continents, cultures and traditions, the book is beautifully illustrated and presented in a glossy gold cover. In addition to fascinating facts about TWG Tea blends and tea harvests, the book features little-known facts on tea and beauty, the health benefits of tea, the geography and varieties of tea, how to prepare the perfect cup, tea history, tea cultures from around the world, and much more.